Irish-born and Australia-based, Siobhan McHugh is an internationally recognised oral historian, writer, podcaster, documentary-maker and podcast critic. She’s the author of six social history books, over 60 radio documentaries (now available as podcasts), numerous print features and a short memoir and has scripted international television documentary. In 2013, she founded the first journal of radio documentary and podcast studies, RadioDoc Review. Its board comprises top international radio documentary producers and scholars, who periodically select the best audio documentaries, storytelling podcasts and features from around the world. These works receive in-depth reviews, from different cultural perspectives, written by top producers or scholars. The aim is to develop critical analysis of this poorly understood form: to articulate the principles that underpin the best audio storytelling and soundworks. Podcasting has emerged as a fascinating force in audio studies as Siobhan’s article, How Podcasting is Changing the Audio Storytelling Genre, discusses. In 2016, she was consulting producer on the podcast, Phoebe’s Fall, a major investigation from The Age newsroom in Melbourne. It won GOLD at New York Radio Festival 2017, Best Storytelling/Documentary Podcast at the inaugural Australian podcasting awards, The Castaways, a Melbourne Press Club Quill Award and a Kennedys Award for Outstanding Radio Current Affairs. It also triggered a review of the Victorian Coroner’s Act. Siobhan believes passionately in the affective power of voice, as this talk she gave at Melbourne’s Wheeler Centre explains. Her article, The Affective Power of Sound: Oral History on Radio, is among the most cited in the distinguished US journal Oral History Review, and was included among fifteen chosen to mark the fiftieth anniversary of the US Oral History Association in 2016. This online version includes illustrative audio clips – listening to them while reading the analysis is by far the best way to understand the concept. As well as being adapted for the stage, Siobhan’s oral histories have underpinned numerous public lectures and appearances: she has been an invited speaker on podcasting, radio documentary and oral history themes at professional. literary and academic gatherings as far afield as Harvard University, China and Iran and is a regular presenter at the annual summit of top media innovators, Global Editors Network (GEN). She lectures in Journalism (long-form narratives like radio documentary and feature writing) at the University of Wollongong, south of Sydney, and after 25 years in the field, is enjoying developing practice-based and practice-led research in the rapidly evolving field of podcasting studies. She also writes regularly for The Conversation on podcasting and related topics. Philosophically, like the film maker Danny Boyle (Slumdog Millionaire), Siobhan believes in ‘The Politics of Connection’. Like renowned oral historian/ broadcaster Studs Terkel, whose son Dann she interviewed as a homage, she believes in bottomless curiosity and deep listening. And like her fellow-audio storytellers, she is convinced of The Power of Voice. In practice, she seeks to empathise with a wide range of people, to listen carefully to their stories and reflections, and to craft them as engaging, affecting and authentic narrative so that they are truly heard. 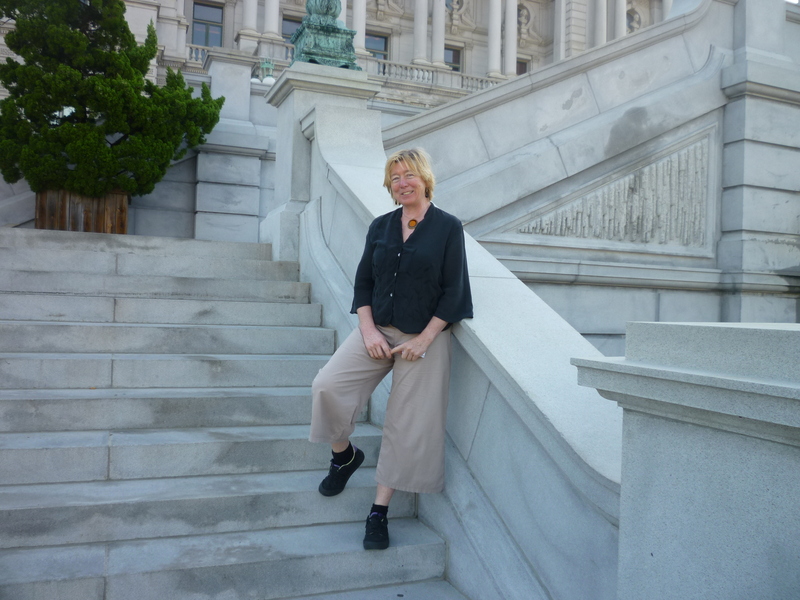 Siobhan at the Library of Congress, Washington DC, 2011. Pleased to see they hold my books – among their 33 million! This couple’s children were placed in an orphanage due to their mixed marriage. This audio and text of a female Vietnam veteran I recorded shows how much more emotional impact SOUND has compared to printed words. A memorable occasion – my talk on the making of the Snowy Scheme documentary showed how grand national narratives can be told through personal interviews. The oral histories of refugees and migrants trying to make a start in a new country resonated, despite the language and cultural differences. 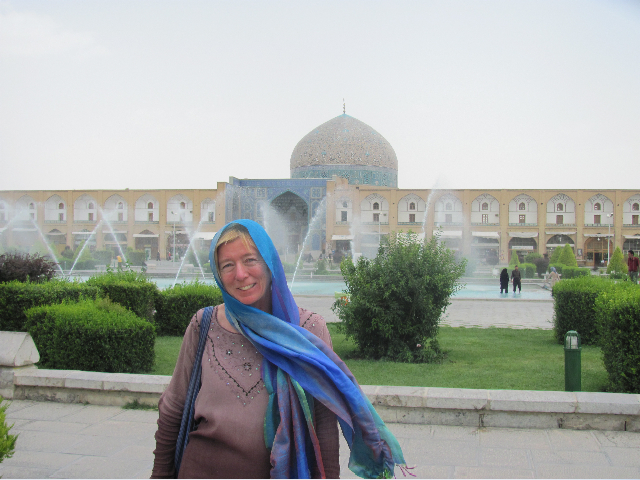 Iranians – or Persians as they call themselves – are warm and hospitable: a nation of poets and picnickers! Siobhan was one of the ‘well-known Australians’ associated with the internationally renowned Mitchell Library who was invited to select an item for its Living Collection exhibition, at the State Library of NSW from March-June 2009. Siobhan selected recordings from the Oral History Collection. Siobhan’s talk at the National Archives of Australia was part of the celebration of the 60th anniversary of the Snowy Mountains Hydroelectric Scheme on the 17th of October. Hi Siobhan, I just spent a wet Sunday immersed in “My Story Snowy”. Thank you – a wonderful read for all kinds of reasons. Alison Howell, Cooma. So nice to hear, Alison! Thanks for posting. I am rereading with great interest your book Cottoning On. Extremely topical atm since Four Corners, Pumped was aired. 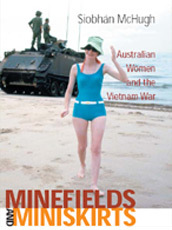 Your book sets out the interplay of forces involved in the setting up of cotton is Australia – its location to Australia after the US government tightened environmental use of various pesticides and defoliants. Me thinks if it was mooted today to park WATER in such vast and shallow dams laced along OUR river systems – that there would be a huge outcry. Thanks, Ruby. It is indeed hard to believe how lax the regulation of pesticides was then – and how easy it was for the early irrigators to get those water licences. I put my science degree, from another life, to good use researching the book. I’m glad it resonates still and has placed vital information on the record. In fact, Four Corners contacted me about that very program. Hi ,Just finished reading your Snowy book a great read . However it may be of interest to you that in the listing of men killed during construction is my brother who was working for Kaiser under the alias David Burns. His real name was Max Alexander Punnett dob 19 June 1944. As you can see five days before his 21 st ..